Deepen your customer relationships. Drive operational effectiveness. Optimize your workforce. 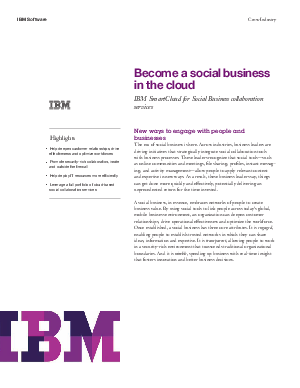 Read this solution brief to see how using IBM SmartCloud for Social Business services to become a social business can help your organization simplify, speed up and enhance interactions in practically all areas of the business.